Perils of a Pearl Diver � W. Roscow � cs; illus. Jupiter Jones � M. Sheldon � cs; illus. 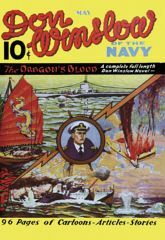 Captain Colorful � M. Sheldon � cs; illus.